Stereo videography is a powerful technique for quantifying the kinematics and behavior of animals, but it can be challenging to use in an outdoor field setting because it can be difficult to design an appropriate camera configuration before collecting the data, and calibrate the cameras once the data has been collected. 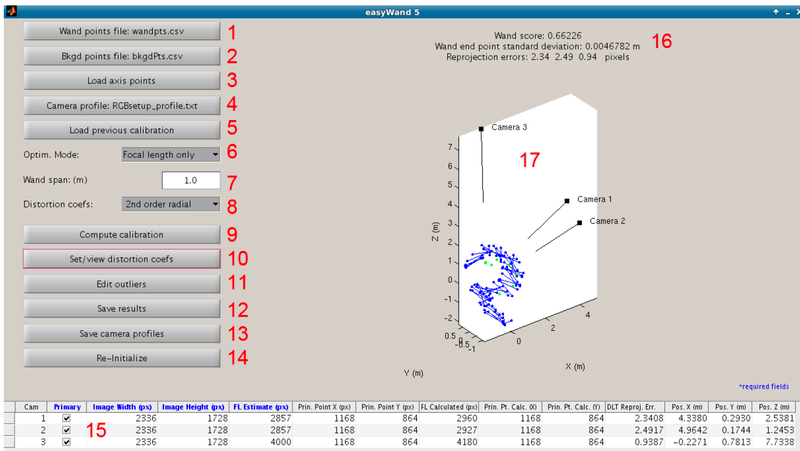 EasyWand is a tool for performing calibration of cameras in a field setting, using videos of light, portable calibration objects, such as a wand of fixed length. Using digitized locations of objects in the scene, the relative pose and some internal parameters of the cameras are estimated. EasyWand is based on the Sparse Bundle Adjustment (SBA) library by Lourakis and Argryos. 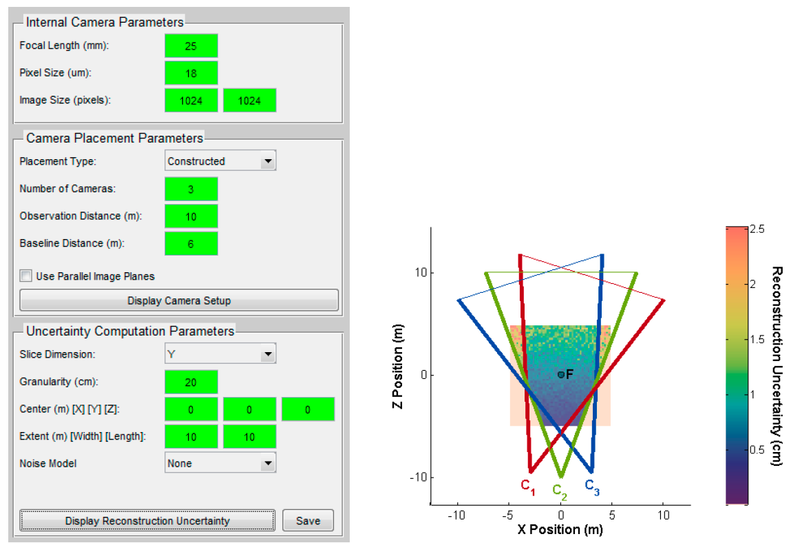 EasyCamera is a tool to aid designing the camera placement for field experiments, which can help scientists understand the viewing geometry and expected reconstruction accuracy when using different camera configurations. EasyWand, EasyCamera and the sparse bundle adjustment library (SBA) [Lourakis and Argyros (2009)] are licensed under the GNU Public License (GPL). SBA is licensed under GPL v2 while easyWand, easySBA, and easyCamera are under GPL v3. For questions about EasyWand, please contact Ty Hedrick (thedrick@bio.unc.edu) at UNC. For questions about EasyCamera, please email Diane Theriault (deht@cs.bu.edu) at BU.